Our 6x5 metal garden shed is in a popular apex style, giving you increased height in the middle for excellent storage potential. Lotus sheds are robust with a galvanised steel construction and stylish designs that will look great in your garden. 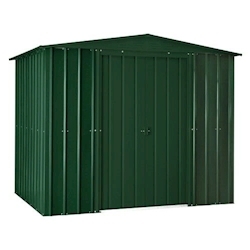 This 6x5 size gives you ample room to store your possessions in a sheltered, secure and sturdy home.